Chocolate for Breakfast – First Anniversary! It’s hard to believe it’s been a year already. Two years ago, I ended a career in fraud investigations, and once I’d healed myself (externally and internally), I began writing the book I’d always wanted to write. At the outset, I thought a story about a young girl who spends a year abroad in Switzerland, living in a tiny attic room, and who experiences the unexpected loss of a parent, would make for a compelling book. That was my story. But it wasn’t really interesting enough. So I let it take flight, using my imagination to create the character of Bernadette and sending her on a personal coming-of-age journey. 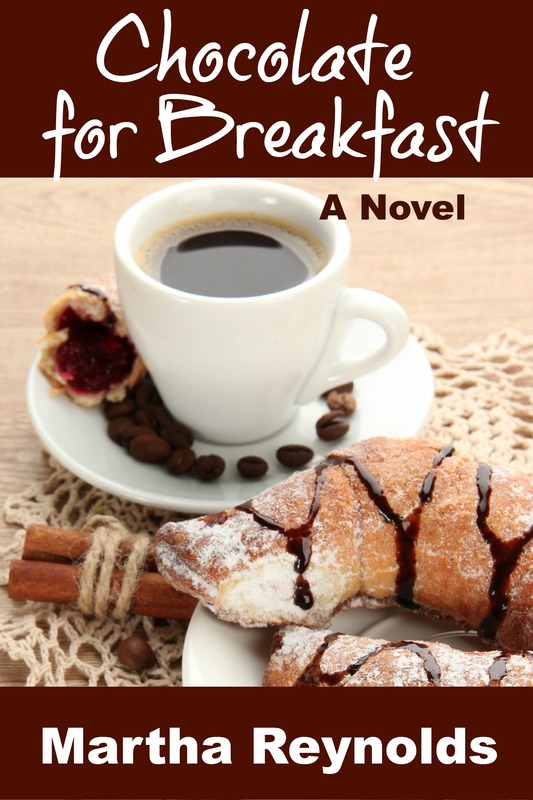 Thanks to all who have read CHOCOLATE FOR BREAKFAST! And thank you for your positive reviews on Amazon and Goodreads, and for the kind and encouraging messages of support during the past year. As many of you know, I’ve written and released a sequel, CHOCOLATE FONDUE, and I’m planning to release the third and final (really, last one) book in the trilogy, BITTERSWEET CHOCOLATE, sometime this fall. In the meantime, I’m celebrating the first-year anniversary of CHOCOLATE FOR BREAKFAST by hosting a little party, and you’re all invited! You can enter to win a great prize here: an Amazon gift card, a copy of CHOCOLATE FOR BREAKFAST in e-book form*, a signed copy of CHOCOLATE FOR BREAKFAST*, or some Swiss chocolate! Just enter through Rafflecopter below. *If you already own CFB and would like to read CHOCOLATE FONDUE, I’ll gladly make the switch. If you’d read both books, I’ll send you a copy of the new novel when it’s released. Your choice. So – I tried to get this Rafflecopter thing to work, but I don’t know if it’s going to take. So, if it doesn’t show up on this blog post, all you have to do is leave a comment and tell me what kind of chocolate you enjoy most. That’s it! If the Rafflecopter widget shows up, use that instead. (Hey, I’m technically-challenged and/or it doesn’t like WordPress.) If Rafflecopter doesn’t work, I’ll use random.org to choose the winners. I’m a sucker for dark chocolate — especially with nuts or marshmallow. I can never get those rafflecopters to work…I love dark chocolate especially Dove’s sea salt carmel ones. Hi! I’ve not read your ‘Chocolate’ books, but can’t wait! My favorite chocolate is ganache-filled (or covered; I’m not picky!) – cake, truffles, I don’t care…. Thanks to Book Mama Blog for the FB shout-out that sent me your way. Dark chocolate filled with orange or lemon creme. Love, love love! The Rafflecopter isn’t showing up for me. I love all kinds of chocolate. I have never met any chocolate that I haven’t loved. I can honestly say I am a chocoholic, but I’m no where ready for rehab any time in the future. I am currently hooked on Dove’s new chocolate and mint candies. You’re welcome. Sorry I double posted. I thought the first didn’t go through. Rafflecopter isn’t showing up for me. I love all kinds of chocolates. I’ve never met any chocolate that I didn’t like. I will admit it, I am a chocoholic. But, I’m not ready for rehab any time in my near future. Lately, I have gotten hooked on the new Dove mint and chocolate pieces. They’re to die for. My favorite chocolate item is a decadent Godiva chocolate. It’s the very best chocolate and yummy!! My fav is white chocolate….especially with a pretzel in the center. Sweet and salty – winner! My favorite chocolate items are (it’s a tie!) Ghirardelli sea salt caramel chocolates and rocky road ice cream. What a fun idea to have this giveaway, Martha! Loved both books!! Hi Martha – Happy to hear you are coming out with a third in the series – somehow I missed that. I love all chocolate, but lately I’ve been enjoying the type of dark chocolate that is not really dark, but just sort of dark …. Aldi sells some – made in Germany, I believe. I recently had chocolate tea, which I did not give high hopes to, but actually was good! Anyway, whether I win or not, you know I will be reading the third book! Love dark chocolate. I have not read your books but I think I need to. I am an avid reader and love discovering new authors. LOL if it’s chocolate it has my name on it!!! I also prefer Nestle Toll House semi sweet chocolate chip for a snack. I eat a handful every morning. Dark is too bitter and white is too sweet. Milk is good but I like the little kick I get from semi sweet. I was sent over via Facebook. I have not read any of your “Chocolate” books yet. Hi Laurie – Well, if you don’t win a copy of Chocolate for Breakfast, I hope you’ll read it anyway! Milk chocolate is my favorite. Loved your books! Can’t wait till the next book is out! Thanks, Dori. I appreciate that, and good luck! Ooh, that might be enough to sway me back to white chocolate, Theresa. I made a dark chocolate carrot cake once with white chocolate cream cheese frosting – to die for! I love milk chocolate. not sure if my comment posted so I am posting this again. Hi Dawna – You’re good, and thanks for commenting! I love Milk Chocolate. Not such a big fan of Dark Chocolate its a bit too bitter for me. It all sounds so good! How about chocolate cheesecake? That sure works for me! Thanks, Sharlene – glad you stopped by, and good luck! Me too, Joe. My taste has changed over the years, but I really prefer the very dark chocolate now. Thank you for commenting, and good luck! It’s that whole ‘Chocolate for Breakfast’ theme, Sheri! Thank you for stopping by my blog post, and good luck in the contest! Chocolate chip waffles are my favorite! Congratulations and I can’t think of a better thing to give away than chocolate. I love dard choc, but not toooo dark. At the moment I’m hooked on the ones from Trader Joe’s: they do great little 100 calorie bars! Oh dear. I meant, of course, dark. Although if someone were to invent dard, I’d be happy to try it! I found those little dark chocolate bars at Trader Joe’s, too, Pauline. Portion control and healthy dark chocolate all in one! My favorite chocolate is Lindor Truffles especially the dark and milk chocolate. Carolyn – aren’t they soooo good? Maybe not so much in this heat, but I love them at the holidays, with the festive wrapping. Thanks for commenting, and good luck! So happy for you. I wish you much success. I like milk and dark chocolate. My favorite is the Cadbury milk chocolate and almond bar. So creamy yum!!! Thanks, Diane. I’m a happier girl these days. I’m a huge fan of chocolate and nuts together, too. I appreciate your stopping by! Happy book anniversary, looking forward to your new books! Love chocolate! Thanks, Darl. Glad to be connected after all these years, and thanks for reading my book! I love all chocolate! Hard to choose a favorite but I’d have to go with semi-sweet. Semi-sweet as in chips from the bag? 🙂 I do keep a bag of semi-sweet chips in the freezer – portion control and out of sight (and not melting) – works for me! Thanks, Lori – and good luck! Martha, congratulations on the success of CFB. My favorite…the milk chocolate bacon bar (yes, chocolate and bacon) at Vosges Haut-Chocolat Boutique, Soho, NYC. Hey Keith! I bought one of those for my husband a couple of years ago. I think it was from Vosges, too – and the sweet and salty thing was definitely a winner! I really love chocolate mousse using dark chocolate. I like the cacao beans to be above 70 percent. Me too, Bonnnie. I used to be all about milk chocolate (and even white chocolate), but the higher the percentage, the more I like it. Good luck! Thanks. I used to like milk chocolates, but I find it too sweet now. I can’t believe I’ve never heard of this book before. I love, love, love chocolate! What better way to start the day than with chocolate for breakfast? Thanks, Marlene. I’m so glad we’re connected now! Looking forward to sharing my books with you. 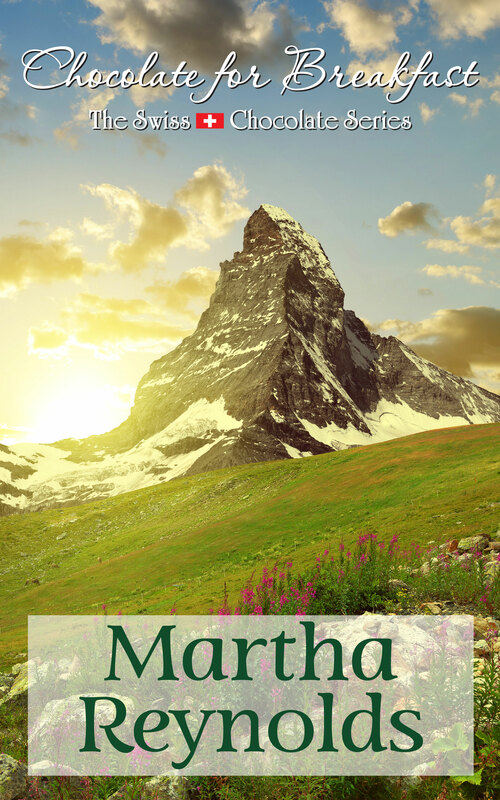 Happy book birthday, Martha! 🙂 I cannot wait for BITTERSWEET CHOCOLATE! Cadbury Dairy Milk is definitely my favorite chocolate! Happy book birthday! So hungry after looking at that new cover! Thank you, Jackie! I’m all about chocolate and you’re all about dogs – and never the two should meet! Thanks for stopping by! I love salted caramel chocolate. Sea salt. Oh, yum!